Gunners ace admits uncertain future after injury setbacks. 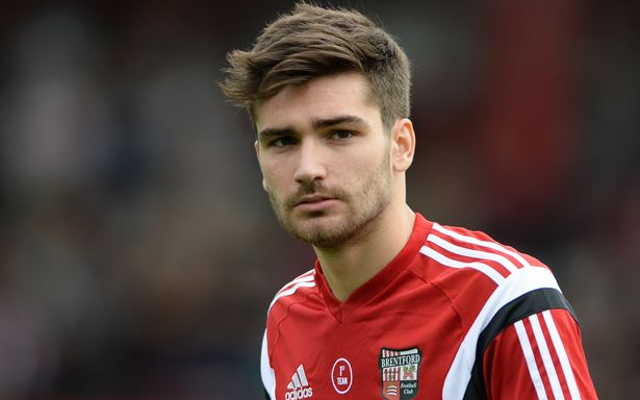 Arsenal youngster Jon Toral, currently on loan at Championship side Brentford, admits he does not know if he will earn a new contract and stay at the club next season. In an interview with the Independent, the 20-year-old discussed his struggles with injuries since moving to the Gunners from Barcelona as a teenager, and hopes he will be given his chance to fulfill his dream of playing for the Arsenal first-team. “I am finishing a contract this season and Arsenal have a preferential option. I work hard every day here at Brentford but my goal is that Arsenal give me a new contract for next season. I am working for it,” he said. Still, despite a recurring knee problem, Toral insists his worst problems are behind him and that he has felt the benefits of a special training regime and extra work to keep fit. “I haven’t had any more problems,” he said. “I feel great. “Obviously I have to warm up properly and do lots of extra work on the muscles around the knee, gym work, weight work, and on my quads and hamstrings just to protect it.